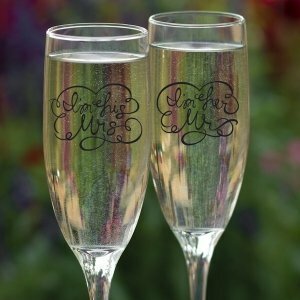 When it's time for the blissful couple to reply to that first toast, make sure they do it with "I'm His Mrs." and "I'm Her Mr." toasting flutes. 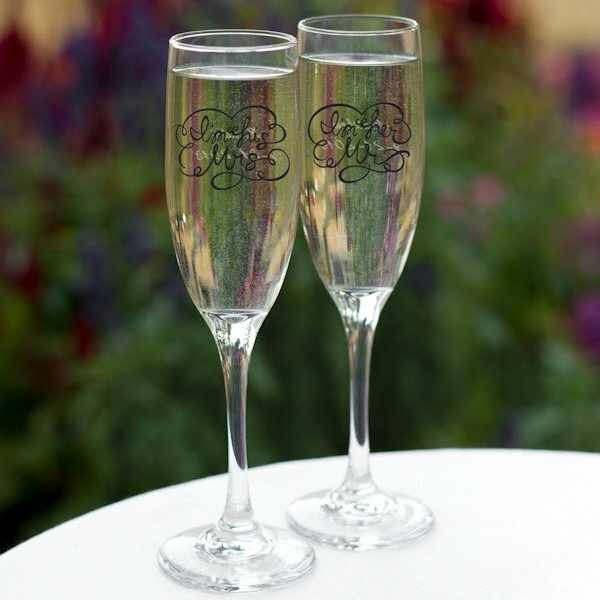 A toast to happiness and the future will be easy with our adorable glass flutes commemorating this happy union! 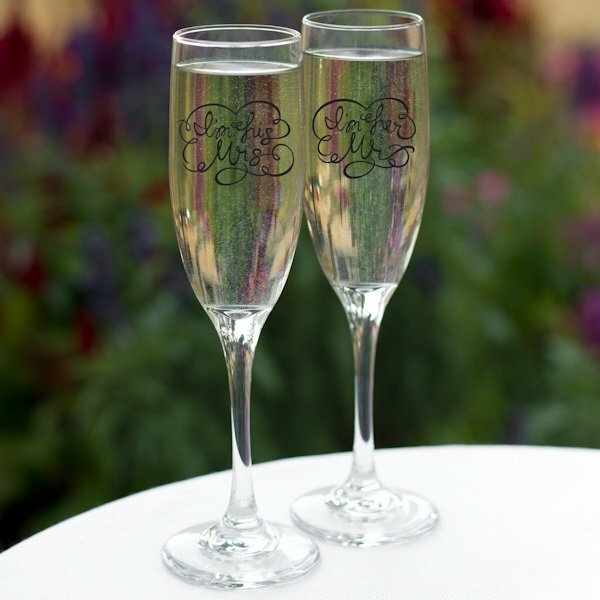 Each glass flute is 8 3/4" tall and highlights the words "I'm His Mrs." and "I'm Her Mr." in black with a lovely scroll motif frame around the words. 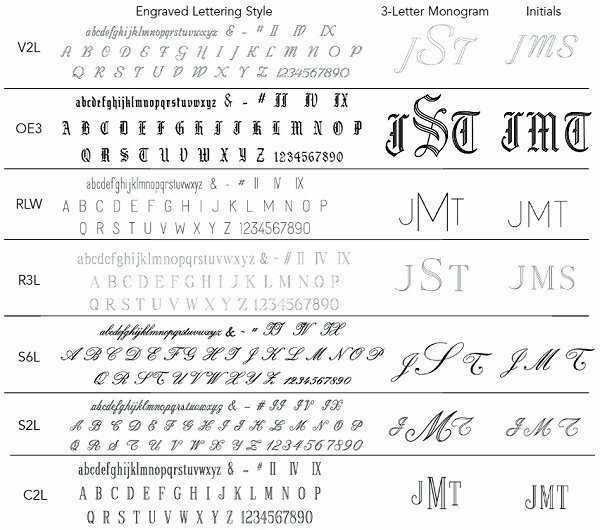 You may optionally add personalization to the back with your choice of font style and the bride and grooms names and date or a single initial. What a lovely way to toast to the beginning of a new marriage. Part of our carnival wedding inspiration board.